The 4-H Awards System may appear somewhat intricate at first glance. However, this this packet aims to clear up any confusion about the awards process. In Dunn County, the 4-H award system can be broken down into two parts, (Part 1) Fall Awards and (Part 2) Fair Awards. The awards process can be further narrowed down by separating each part into three overall sections (a) Club Level Youth Awards, (b) County Level Youth Awards, and (c) Adult Leader Awards. For a visual representation, check out this 4-H Award Flow Chart. For more information on the record book process, please check out the 4-H Forms and Documents Page under R for Record Books! OLDER YOUTH AWARD OPTIONS: Achievement, Leadership, Citizenship, Key, James Crowley Dairy Leadership, or Scholarship. Older Youth Applications are all Due February 1st. With the support of volunteers and community partners the Dunn County 4-H program is able to prosper while empowering our youth to be strong and dedicated community leaders. We want to make sure to thank and recognize these amazing people. Please fill out any of these applications to nominate a deserving 4-H Adult Leader or Community Partner. You can print the applications, fill them out and drop them off OR mail them in at the Dunn County UW-Extension Office. The Partners in 4-H award is meant to recognize outstanding contributions from individuals, organizations, or business to the 4-H program. 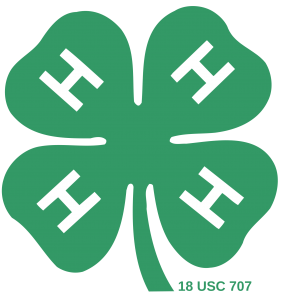 “Partners in 4-H” nominees have impacted the Dunn County 4-H in some special way and is ultimately selected by the Leaders Council. A recipient may only receive this award every ten years. The Volunteer of the Year award is sponsored by the Wisconsin 4-H Foundation and is selected locally by the Dunn County 4-H Leaders Council. Volunteer of the year nominees have gone above and beyond to serve 4-H on the club, county, state, and/or national level. A recipient may only receive this award once. The Alumni Award is meant to recognize 4-H Alumni. Recipients may be alumni from anywhere in the county and must be a current active leader working in many ways to help youth in their present adult life. A recipient may only receive this award once. When making a nomination for the “4-H Alumni Award” please consider the person’s interest in 4-H in their adult life and reflect on their accomplishments when they were a member. A maximum of four alumni may receive this award each year. The Schutts Memorial Award is meant to honor a 4-H Club that has demonstrated outstanding community service efforts. Recipients must describe their community service efforts in detail, including what the service project/s were, who they benefited, what the club members did, how many members were involved, and what they gained/learned by participating. A recipient may only receive this award once. The Louise and Scott Schutts Memorial is for clubs who excel in community service. Louise Schutts was a leader in the Connorsville Comets 4-H Club for many years. They strongly believed that community service was a very important part of the 4-H club’s program. The Memorial was created by Louise and Scott’s family. All Adult Leaders Awards are due by May 29th!